The Elder Scrolls Online’s upcoming dagger-in-the-dark, assassin-flavoured DLC, The Dark Brotherhood, has had its release date revealed, and us PC players are getting it two weeks before console, on May 31. If you like ESO, perhaps you’ll enjoy the rest of the games in our list of PC’s best MMORPGs. 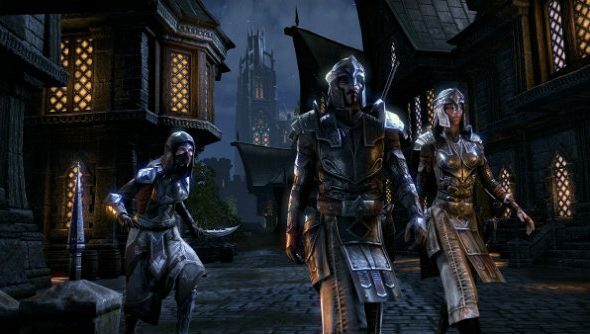 Dark Brotherhood is free for anyone with an ESO Plus membership ($15 per month), or can be purchased separately for 2,000 crowns from the game’s virtual marketplace. A Collector’s Bundle containing the DLC, the Highland Wolf mount, the Synvan Nixad ped, and five Crown Experience Scrolls will also be offered, priced at 4000 crowns ($40). The Dark Brotherhood DLC takes you back to the Gold Coast, one of the locations in The Elder Scrolls: IV Oblivion, including the towns of Anvil and Kvatch. A completely new passive skill-line allows you to craft a character at home in the shadows as you work through hours of new story where you’re defending the Dark Brotherhood from a mysterious enemy and quietly slipping your dagger into the necks of NPCs for cash. PC Players can experience Dark Brotherhood prior to release on the ESO PTS (Public Test Server) now.